The chapel of Santa Àgata was the first place in which the pieces of the museum were gathered together, until the building of the Museu Provincial d’Antiguitats was inaugurated on 15th March 1880. It was the result of the effort to recuperate archeological and artistic heritage during Renaixença (The Catalan Renaissance). Inaugurated on 18th January in one of the palaces constructed on the occasion of the Universal Exposition of 1888, in the Ciutadella, it was the venue for the international exhibitions of fine arts. The contemporary works acquired for the museum are currently in the rooms dedicated to the art of the 19th and 20th centuries. Enlargement of the Palace of the Ciutadella to bring together all the historic and artistic collections owned by the municipality. The new Museu d’Art i Arqueologia was inaugurated on 7th November 1915. The Board of Museums (in Spanish) carried out a huge amount of activity without which it would have been impossible to construct the future Museu d’Art de Catalunya. In the same year of 1907, the famous Missió a la Ratlla d’Aragó took place, with Josep Puig i Cadafalch at the forefront, which definitively made known the Romanesque paintings of the churches of the Pyrenees. To avoid sets of Romanesque mural paintings ending up abroad, as had happened with the Pyrenean Romanesque church of Mur –sent to a museum in the United States, the Board of Museums carried out an exemplary campaign of acquisition and safeguarding of this heritage. After a public bid initiated in 1924, the project for the Palau Nacional was adjudicated to the architects Eugenio P. Cendoya (in Spanish), Enric Catà and Pere Domènech i Roura (in Spanish). The first stone was laid on 30th June 1926 and in October of the following year, the first tile. Among the numerous acquisitions of works by the museum in the first three decades of the 20th century, it is worth highlighting the purchasing of the collection of Lluís Plandiura (in Spanish), the most important in the country. It comprises 1,869 works, mainly of archeology, paintings and sculpture. The urbanisation of the hill of Montjuïc and the buildings that the International Exposition would leave empty allowed the reorganisation of the collections that until then had been conserved in the museum of the Ciutadella. The Palau Nacional was destined to house the Museu d’Art de Catalunya. As a consequence of the Fets d’Octubre (in Spanish) the inauguration foreseen for 7th October were postponed until 11th November, presided by the military that were temporarily in power in Catalonia. 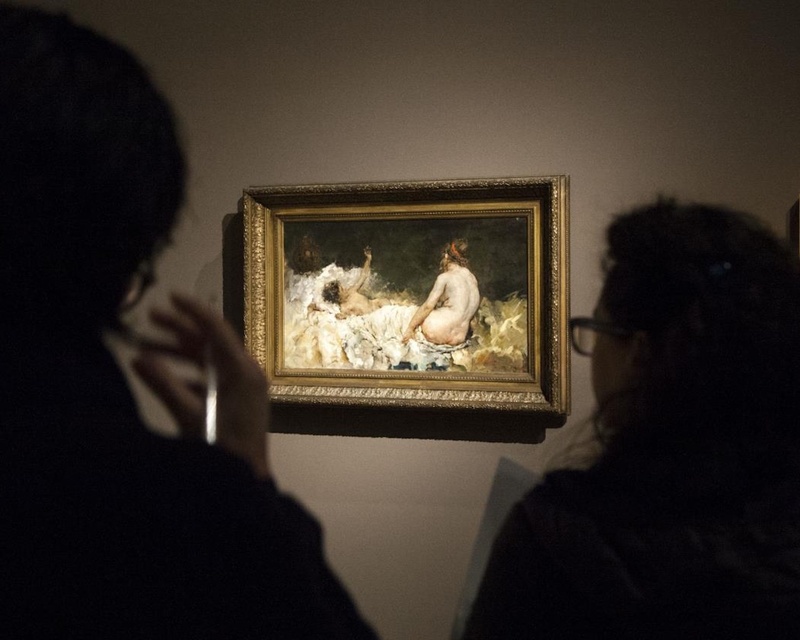 The museum covered a global discourse of Catalan art. Newsletter of the Inauguration day. 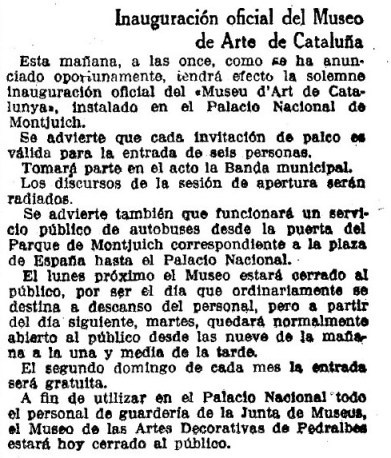 Inauguración oficial del Museo de Arte de Cataluña. La Vanguardia. 11/11/1934: 10. An important selection from the medieval collections was exhibited in the Jeu de Paume and after in the castle of Maison Laffitte in Paris during the Civil War. On the return of the works to Barcelona, the collection was divided between two buildings: the medieval, the renaixentista and Baroque returned to the Palau Nacional, the premises for the Museu d’Art de Catalunya, which reopened its rooms between August 1940 and 12th June 1942. The works from the 19th and 20th centuries went to the Palace of the Ciutadella, in which the Museu d’Art Modern was inaugurated on 5th June 1945. This building also housed the Library and the Numismatics Cabinet of Catalonia. After the war, the art museums were transferred to depend on the City Council of Barcelona. Joan Ainaud de Lasarte (in Spanish) was appointed as Director for the period 1948 to 1985. Of his prolific work, it is worth highlighting two crucial initiatives for the two museums: the exhibitions Romanesque art (1961) and Modernisme in Spain (1969). Also thanks to him the remodelling took place of the Romanesque (1972), Gothic (1981) and Renaissance and Baroque (1985) collections. 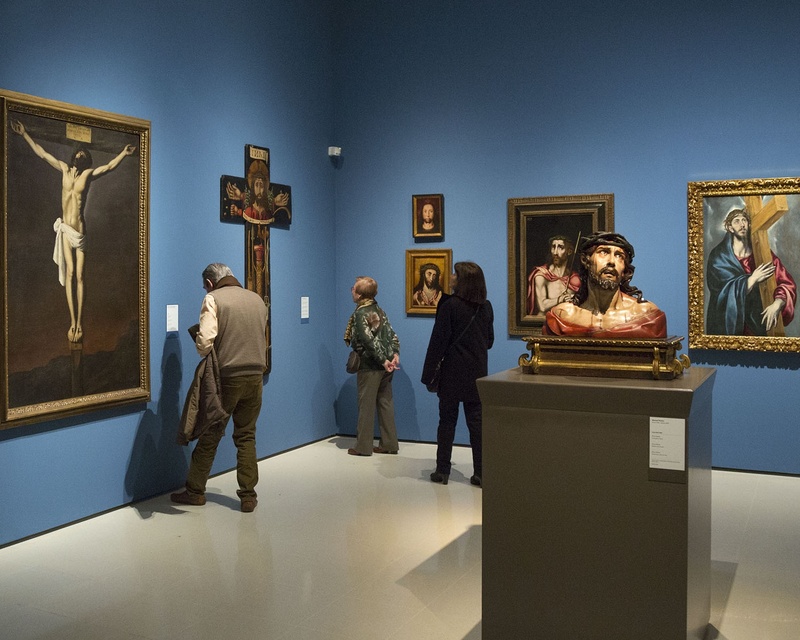 Among the incorporations of numerous works to the museum, it is particularly worth mentioning the bequest of the Francesc Cambó (in Spanish) collection with the donation of paintings of the Great masters that complete the large Medieval series of the Museu d’Art de Catalunya. It is one of the contributions received of more value, and notably enriches the collection of Renaissance and Baroque art. The Law 17/1990, of 2nd November, of Museums (DOGC núm. 1367, 14.11.90, in Catalan) reunifies the Museu d’Art de Catalunya, the Museu d’Art Modern, the Numismatics Cabinet of Catalonia, the Cabinet of Drawings and Prints and the Library of History of Art. A long remodelling process of the Palau Nacional, by the Italian architect Gae Aulenti, led to the new museum being opened in three phases: on 15th December 1995, the Section of Romanesque Art; on 18th July 1997, Gothic Art, and finally, on 16th December 2004, the complete inauguration took place of the Museu Nacional d’Art de Catalunya. On 12th June 2001, the statutes of the Museu Nacional d'Art de Catalunya were approved (DOGC Nº. 3423, 4.7.2001). On 22nd February 2005 a new agreement confirmed the entrance of the General State Administration into the governing organs of the museum (DOGC Nº. 4362, 13.4.2005). On 14th March 2006 the current statutes of the museum were approved (DOGC núm. 4625, 3.5.2006, in Catalan). 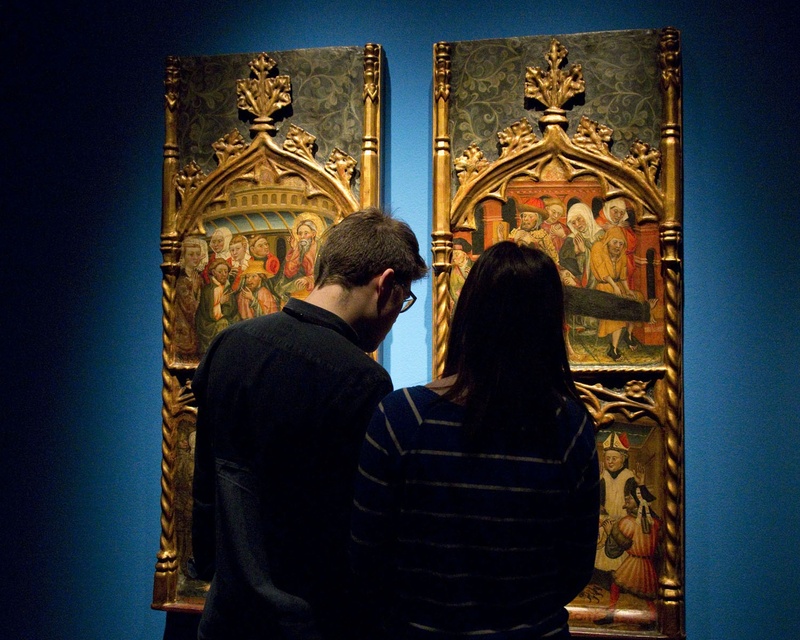 On 27th May 2010 the remodelling of the medieval Gothic Art Room was inaugurated. On 30th June 2011 a new presentation was reformulated of the collection of Romanesque Medieval art. In 2013 the access foyer to the building and the collection was changed. In 2014 the museum opens the new display of Modern Art. Thanks to the generosity of Antonio Gallardo, in 2016 there is one of the most important donations in the history of the museum, with the inclusion of masterpieces in the collection, which come from the Antonio Gallardo Ballart collection. In January 208, the museum exposed a new narration with the new display of the Renaissance and Baroque Art Collection. The Modern Art collection grows! 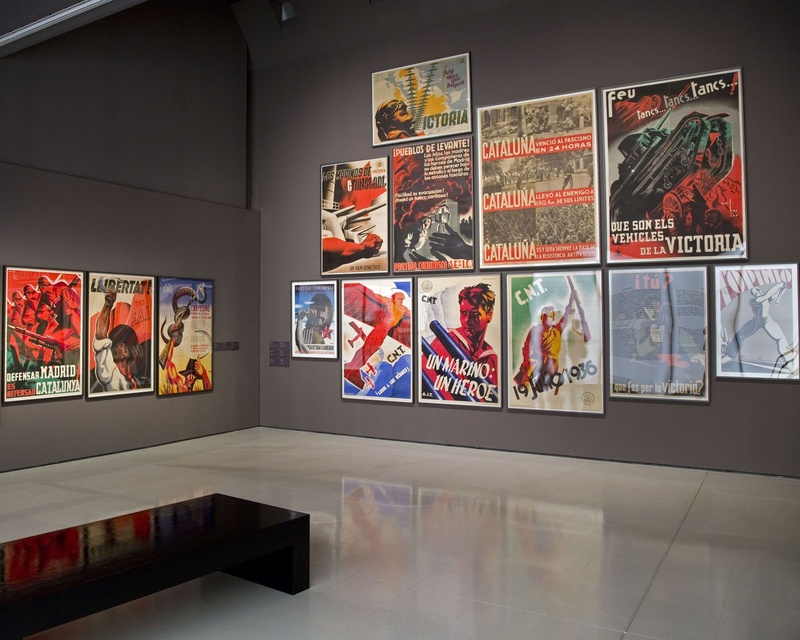 In January 2019, the Museu Nacional d'Art de Catalunya releases the new presentation of Modern Art, opens two new rooms for the post-war and second Avantgarde art and brings in three new Picasso pieces.